Archaeologists made a rare and unexpected discovery during a natural gas pipeline salvage excavation in Jezereel Valley, Israel, when they came across a 3,300-year-old Egyptian sarcophagus complete with human remains and numerous grave goods. 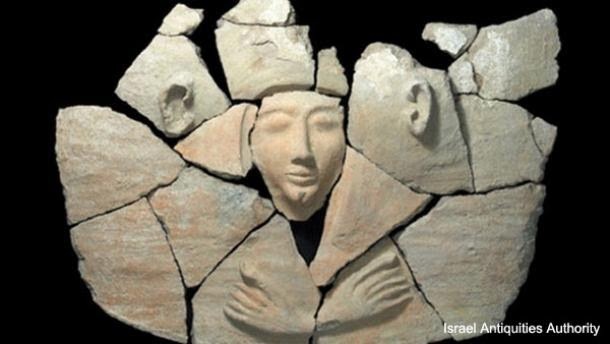 It is the first time in around fifty years that an anthropoidal (person-shaped) coffin has been found in present-day Israel. The Bronze Age clay coffin contained an anthropoidal lid with a naturalistic impression of a man’s face, with stylized hair in an Egyptian style, ears and, like sarcophagi of Egyptian pharaohs, hands crossed over the chest in the manner of the deceased. 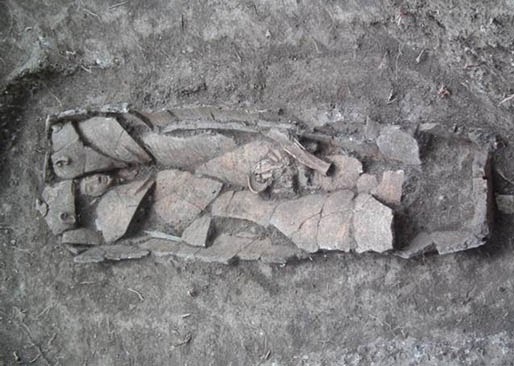 The clay coffin was surrounded by pottery, storage vessels, and animal bones. Inside the sarcophagus was an adult skeleton, pottery, a bronze dagger, a bronze bowl, hammered pieces of bronze and, most significantly, a rare Egyptian scarab seal of Pharaoh Seti I encased in gold and affixed to a ring. The seal features the winged Uraeus (cobra), protector of the pharaoh’s name and person. Pharaoh Seti I ruled Egypt from around 1290 to 1279 BC and is considered by many Egyptologists to be one of the most powerful kings of the 19th Dynasty. In the first year of his reign, Seti I put down a revolt in the Bet Shean Valley, which is located not far from where the coffin was found. After conquering the region, the pharaoh established Egyptian rule in Canaan and instated Canaanite vassals to rule the territory on the pharaoh’s behalf. Canaan roughly corresponds to the Levant, i.e. modern-day Lebanon, Israel, Palestinian territories, the western part of Jordan and south-western Syria. 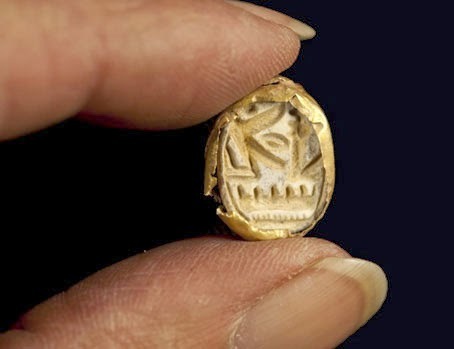 The IAA is currently considering sampling the DNA from inside the coffin to see if the deceased was originally a Canaanite, or an Egyptian buried in Canaan.